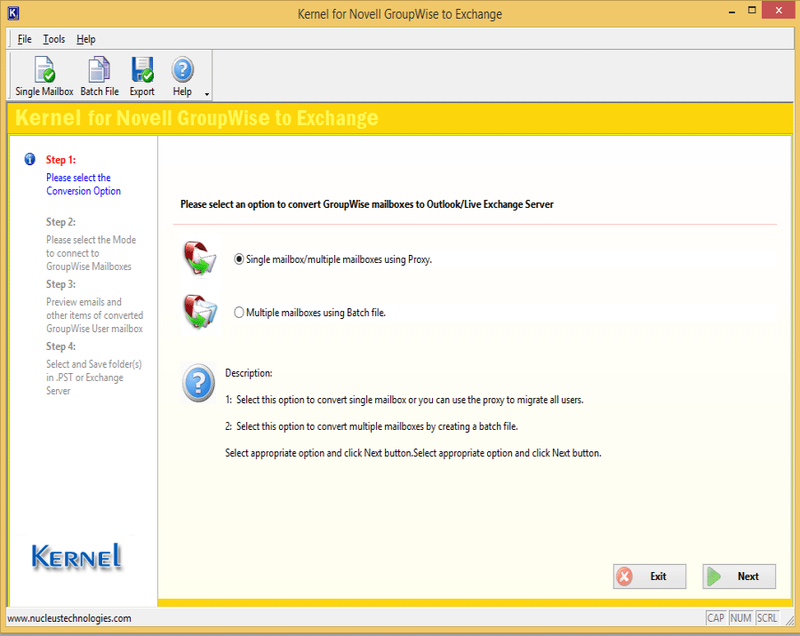 Novell GroupWise to Exchange 14.08.01 - Download Win Apps. Perform Novell GroupWise to Exchange migration with Kernel tool. Kernel for NGWTE migration tool provides you with right solution to switch from MS Exchange to GroupWise platform by overcoming all unwanted complexities easily. The tool has got an excellent ability to migrate exchange sharing lists and instantly convert them into GroupWise distribution lists.